You can create an Azure Service Principal on multiple ways. 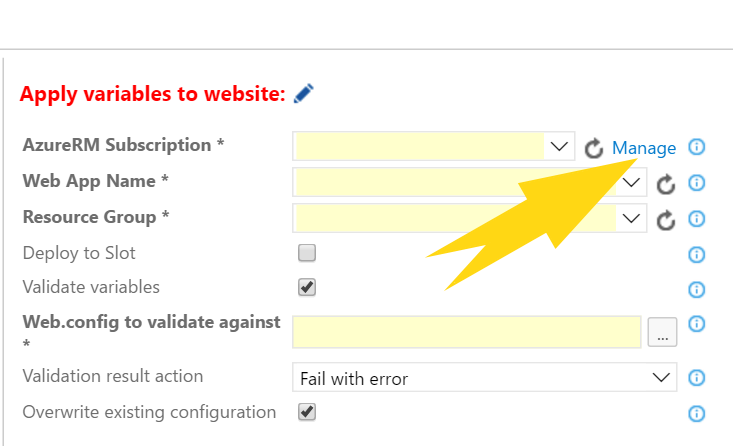 Here you can read how to add an Azure Service Principal through the Classic Azure Portal. It’s also possible to add an Azure Service Principal through PowerShell. This PowerShell script can be used to create a Principal that has access to the whole subscription. I prefer to create a Service Principal that has access to a single ResourceGroup only. Here you can find the slightly changed script which support ResourceGroup access. When you run the script, the output will look like the following picture. Later on you will need the last five parts to create an ARM Endpoint in VSTS. 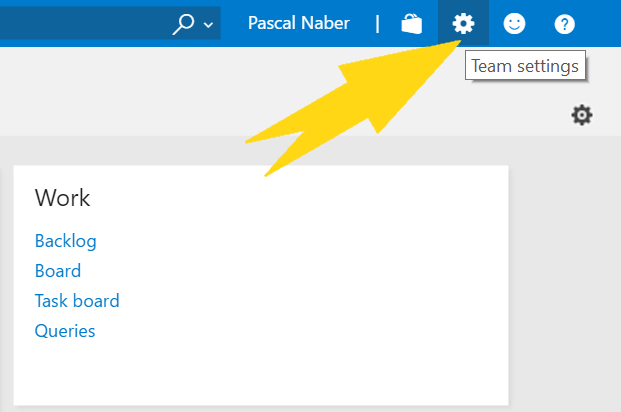 To access the window where you can create an Endpoint in VSTS click on the Team Settings “Gear” icon in the upper right of the screen. After that click on the Services tab. Note that an Endpoint in VSTS is project specific. In both cases you should see the following screen and click on New Service Endpoint. In the menu select Azure Resource Manager. The following popup screen will be shown. Because we don’t want a Service Principal in Azure which has access to the whole subscription, don’t click OK. Instead click on the here link. The following screen appears. Here you can fill in all the information that the PowerShell script outputs. The Connection Name is the only field where you can enter custom information. The other fields must match exactly. There is no validation or connection checker on the information that you fill in. When you use the Azure WebApp Configuration task for example and have selected an ARM Endpoint. The task selects all webapps where the Service Principal has access to. When no WebApps appears (and there should), the entered information will probably be wrong.